I felt a little sorry for support band Eden's Curse, having to come on stage at 19:00 to a pretty empty venue. Vocalist Nikola Mijic was experiencing issues with his microphone so the show didn't get off to the best start. It took a couple of songs for the gremlins to be resolved and the band stormed through eights songs of excellent Melodic Rock. Guitarist Thorsten Koehne peeled off some fine solos and band leader / bassist Paul Logue was in fine form. It's been a few years since I saw them open for Dream Theater and it was well worth the wait. At 20:15 the venue was a lot fuller and AC/DC were blasting over the PA. Michael Schenker walked on stage with a big grin on his face and promptly and very surprisingly sang a verse from 'Holiday', which he played on from The Scorpions' 1979 'Lovedrive' album. He was joined by bassist Chis Glen, drummer Ted McKenna and guitarist / keyboardist Steve Mann. Unfortunately, the mad axeman decided to have a bit of a subtle dig at older brother Rudi, something which he did again later in the show. Stick to the awesome guitar playing Michael!! 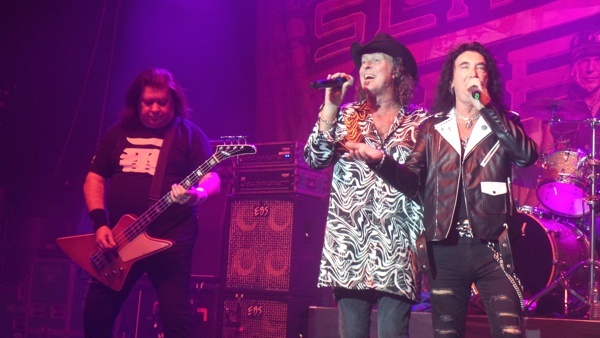 Next up, Robin McAuley, Gary Barden and Graham Bonnet joined the fray for a rousing 'Doctor Doctor'. As an addition to last year's Fest we had a fourth vocalist – it was Doogie White's turn to take centre stage and we got to hear several Temple Of Rock songs. 'Vigilante Man' really got the crowd going, as did 'Take Me To The Church'. By the time Schenker began the riff to the UFO classic 'Natural Thing' the crowd were lapping it up. Exit White, who was in fine voice, and then it's time for an instrumental - 'Captain Nemo' and Schenker showed us how great he can be when he is focused on his guitar playing. Mann contributed superbly on the keyboards. The man in the shades returned for his "main" set – yes, it was Graham Bonnet who still has a great set of pipes for a seventy year old. 'Dancer' was the first song and McAuley and Barden were on hand to help with the chorus. 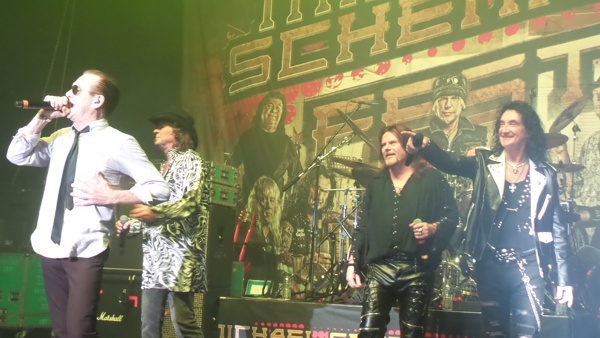 Schenker's playing was imperious and he was still grinning from cheek to cheek. 'Searching For A Reason' quickly followed and it was great to hear the number as it doesn't get aired too often. 'Desert Song' was superbly played and Schenker showed us what a genius he is on the Flying V. McAuley and Barden returned to help out on new song 'Night Moods' and the brilliant 'Assault Attack' was the final song from Bonnet and he belted it out with great aplomb! Scorpions' 'Coast To Coast' had Schenker running around the stage suitably supported by Glen and Mann with McKenna continuing to keep the beat, and then it was time for Gary Barden's slot. We were treated to MSG classics 'Ready To Rock', 'Attack Of The Mad Axeman' and 'Armed And Ready'. Barden's voice is not quite what it was but Metal Mickey played some virtuoso solos to keep us happy and then it's another instrumental - 'Into The Arena'. Robin McAuley still has a great voice and we got to hear 'Bad Boys' from the McAuley Schenker era. Disappointingly, this was the only tune from that period as we were then treated to a UFO mini-set – 'Shoot Shoot', 'Only You Can Rock Me' and 'Too Hot To Handle', plus 'Heart And Soul' from the recent 'Resurrection' album. The crowd were loving it and it then got even better; 'Rock Bottom' and Metal Mickey stretched it out to almost fifteen minutes - his soloing was sublime and breath-taking. He was really enjoying himself as were the crowd. All eight musicians took a bow and then they blasted us away with 'Lights Out'. 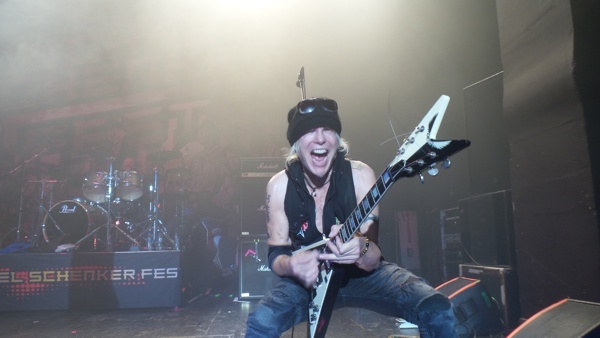 Schenker was on top, top form during the two-and-a-half-hour show and never stopped smiling throughout. Twenty-eight songs, plus the band and the crowd sang happy birthday to Chris Glen! 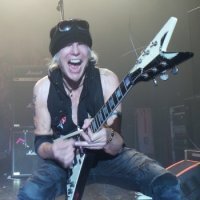 I've been a Schenker fan for thirty-seven years and seen him almost fifty times and he's never played better!